HANDIRA. 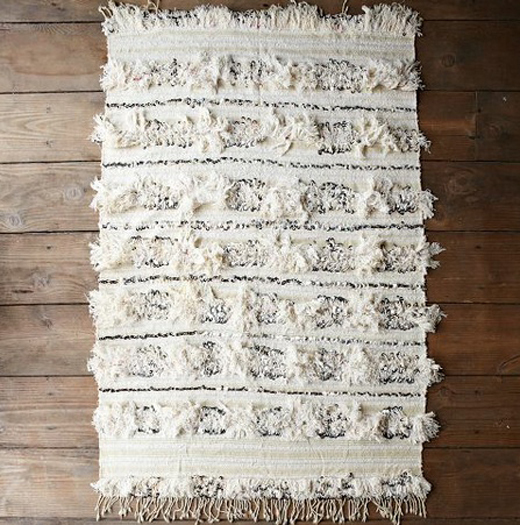 I’ve always had a soft spot for Moroccan design and after finally acquiring a white leather pouf for my living room, I’ve moved on to the next item on my wishlist – a Moroccan wedding blanket. 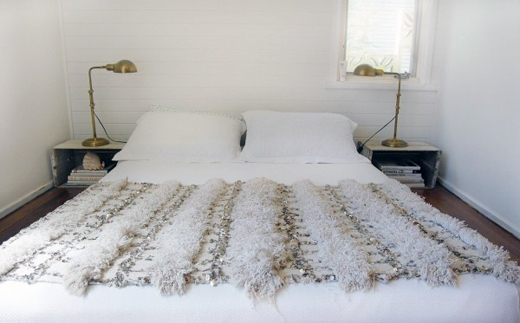 These beautiful handcrafted pieces look great as bed throws, rugs, draped over a couch or hung on a wall as art and I love the warmth + hint of glamour they lend to an all white room! pictures via lonnymagazine, pinterest, google. 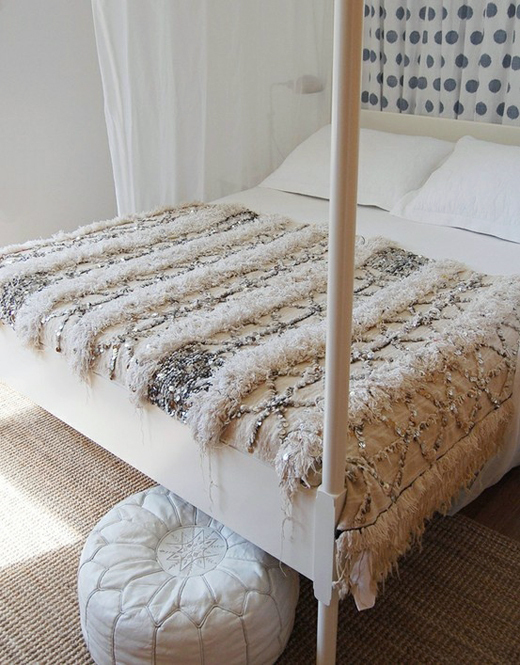 This entry was posted in Interior design and tagged handira, Interior design, marrakesh, moroccan wedding blanket by Carolina Engman. Bookmark the permalink. I adore Moroccan Wedding Blankets! Aren’t they so wonderful! Thanks for the suggestions, I’ve wanted one for ages. This is such a great post!! Btw, I love Etsy, so easy to find goodies and as far as my experience goes, the quality of the stuff is pretty decent! Love these pictures, great inspirations! That first picture is amazing. I would love to have that as a room. Wow, these are all absolutely gorgeous! I would love to have one (or two or three.. or all of them…) in my house some day! Stunning images–really inspiring! I love the gorgeous textures of the Moroccan wedding blankets! Stunning images–really inspiring! I love the gorgeous textures of the Moroccan wedding blankets. They’re so unique and really add a lot to the spaces! Love the almost total white one! I had never seen any Maroccan design until now and I’m loving it! It may be a little too sparkly for my taste (I’m more of a black and white girl) but it looks so pretty! So beautiful! Wish my room looked this lovely! Hello there sis! :) I hope that maybe we could follow each other on Bloglovin and/or GFC, Facebook? glad you like our moroccan designs! They are stunning! I now have added one to my mental wishlist. Honestly, the blankets are lovely, but I can’t get past the bedframe! I want one like that so badly, it’s been on my list for forever! 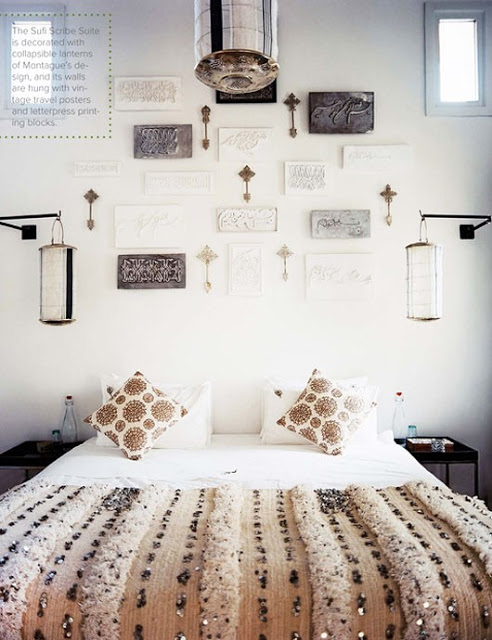 Moroccan ornaments look great in combination with light walls! It’s such a beautiful piece. I’m dreaming watching those pictures, they pure beauty. Gorgeous. Really love this post. It looks very nice and cosy!! That’s really beautiful! It would be great to have pictures of your appartment, I’m sure it is gorgeous! They are absolutely gorgeous. Definitely wanting one, now! Love everything! Looks pretty for an apartment!!! This looks wonderful! Got to say- I love that bathtub too! It’s pure inspiration!! I love it!! I’ve loved Morrocan wedding blankets ever since my parents bought one for their room, they’re so gorgeous! These are wonderful, amazing details, I love everything! 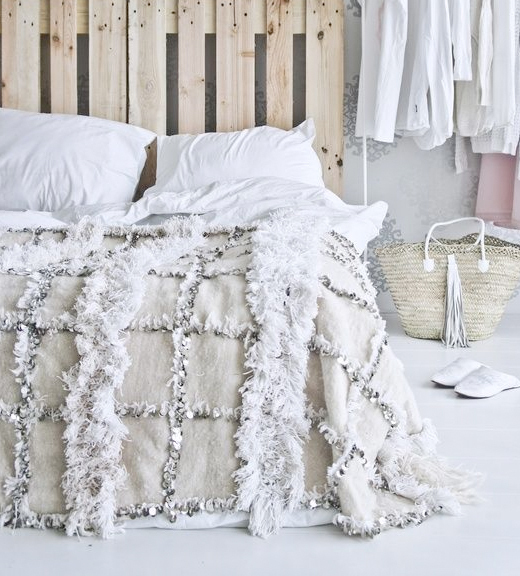 These blankets are so beautiful and textural! I’m redecorating my apartment (especially the bedroom) and I might have to try to get my hands on one! Oh love the colors.. it looks so peaceful. Those are absolutely stunning! I love Moroccan architecture, but I’ve never delved into decorative pieces like this! Woa! 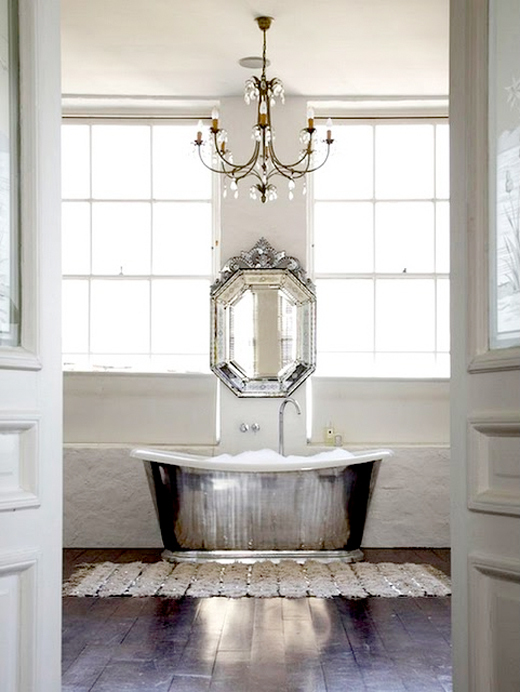 I want that silver bathtub!! What a beauty! you’re right: it glams up an all white room in such an elegant but cool way! They look so luxe, I think they’re perfect especially for a muted colour room! I loved every single piece!! we have a lovely selection of quality moroccan wedding blankets in our online shop. mention this blog for 10% off!